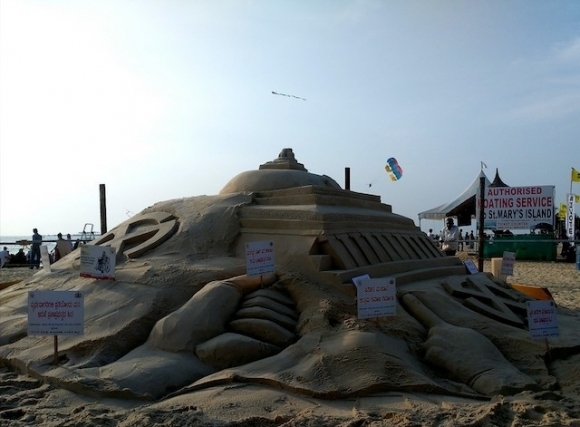 Kemmannu.com | Healthy voter Awareness Sculpture at Malpe Beach. 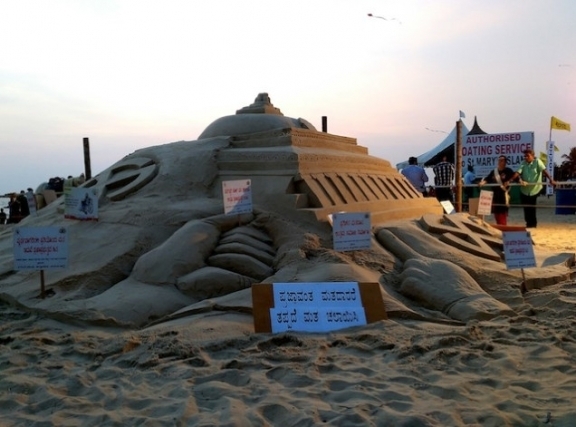 Healthy voter Awareness Sculpture at Malpe Beach. 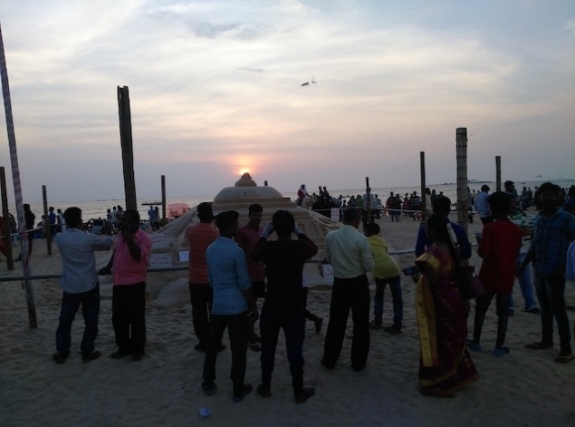 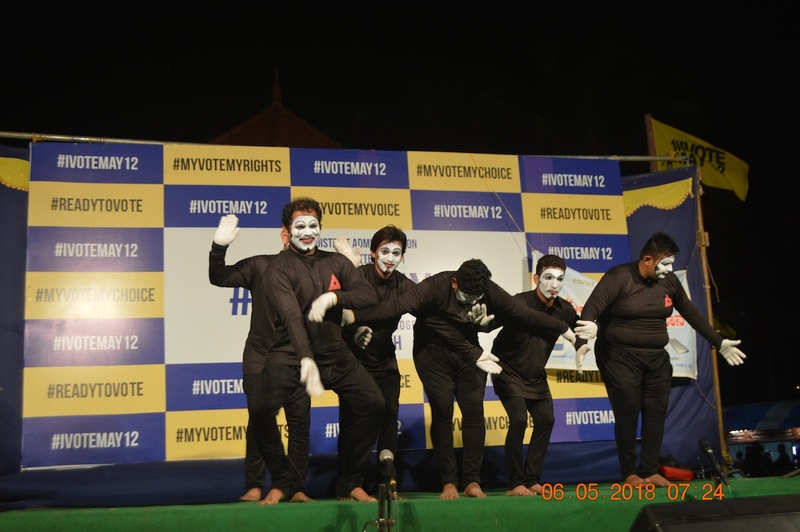 Udupi, April 15, 2018: The Manipal Sand Arts in association with Udupi district Election Sweeping committee created a huge sand Sculpture at the Malpe Beach on Sunday the 15th April, 2018 to have a healthy and 100% voting in the upcoming Karnataka Vidhan Sabha Elections - 2018. 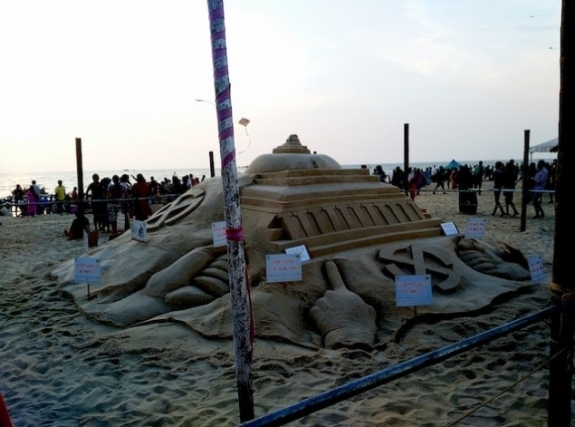 Artists of Manipal sand heart Srinath Manipal, Raghavendra Amin, Ravi Hirebettu Creates this huge sand sculpture. 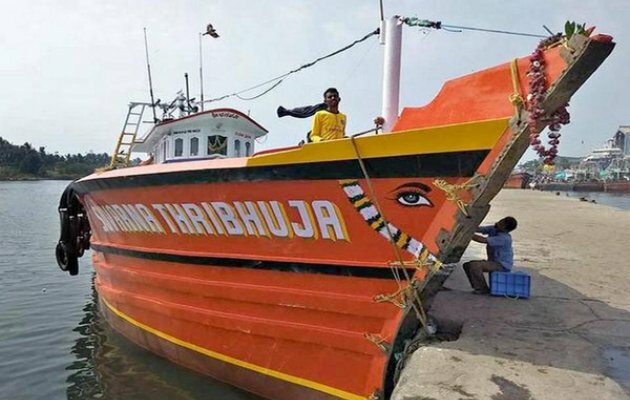 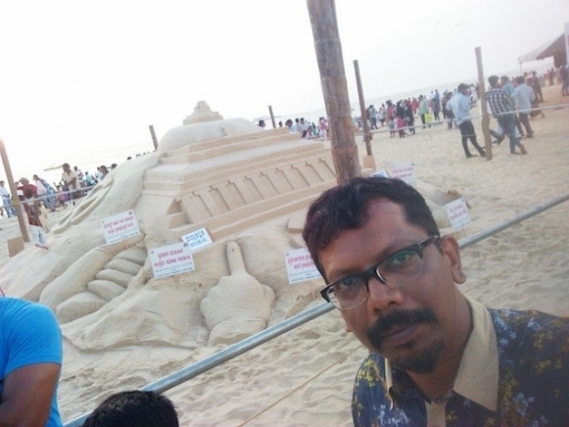 More than a lakh tourists and locals had the opportunity to admire this wonderful art which was sending a beautiful message., Ravi Hirebettu Creates this huge sand sculpture. 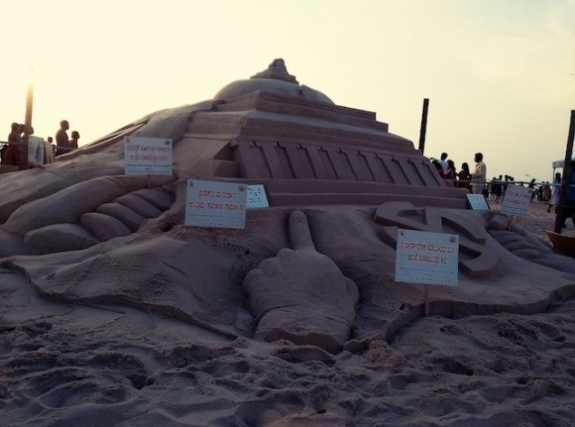 More than a lakh tourists and locals had the opportunity to admire this wonderful art which was sending a beautiful message.